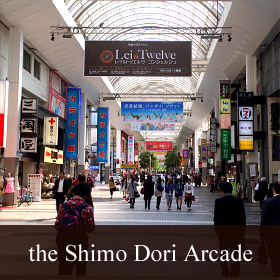 Hotel Sunroute Kumamoto Official Website | Excellently located near Shimo Dori in downtown Kumamoto, a 10-minute walk from Kumamoto Castle. The ideal hotel for tourism or business. 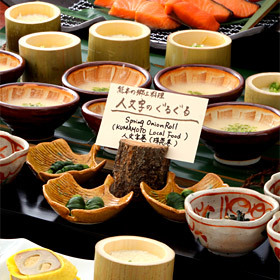 A superbly located hotel, in the center of downtown Kumamoto, just 10 minutes' walk from Kumamoto Castle. 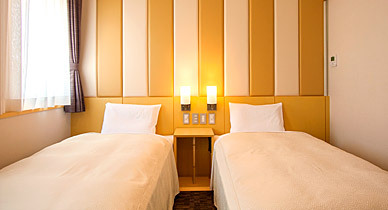 Hotel Sunroute is in the finest downtown location, perfect for business, touring, or shopping. 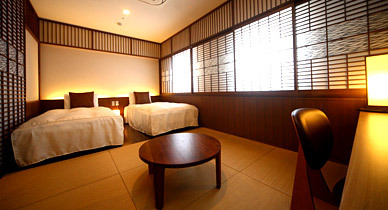 Sleeps up to four people with futons and Kumamoto-made tatami mats. A popular choice for families with children. Japanese-modern design for deep comfort and relaxation. 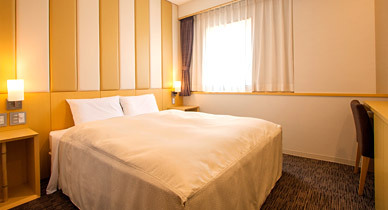 Japanese-modern design with queen-size bed (160 cm wide) for deep comfort and relaxation. Non-smoking floor. 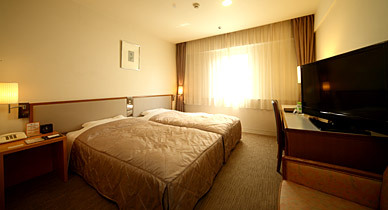 Rooms with Western-style bathtubs. Softly colored room, smoking allowed. 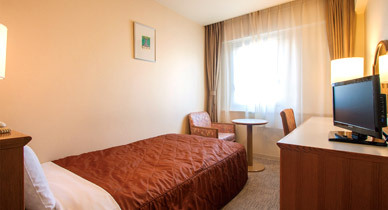 Rooms with a semi-double bed (120 cm wide) are also available. Rooms without table and chair are also available. 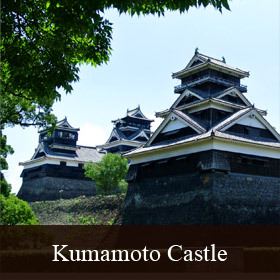 just 10 minutes' walk from Kumamoto Castle. 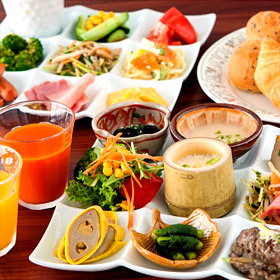 © HOTEL SUNROUTE KUMAMOTO All Rights Reserved. 15 minutes on the city tram bound for Kengun, to the Hanabatacho stop, then 3 minutes by foot. Email inquiries are promptly answered.